"The Beauty Geek": Haul-iday! Gifts and Purchases during the Holiday! Haul-iday! Gifts and Purchases during the Holiday! Hello everyone! I've been on a make up ban for a few months already. Although I broke a promise to myself when I had a chance to shop during my Beauty Credit Haul, I still give myself a pat in the back for not buying anything for almost 3 months! 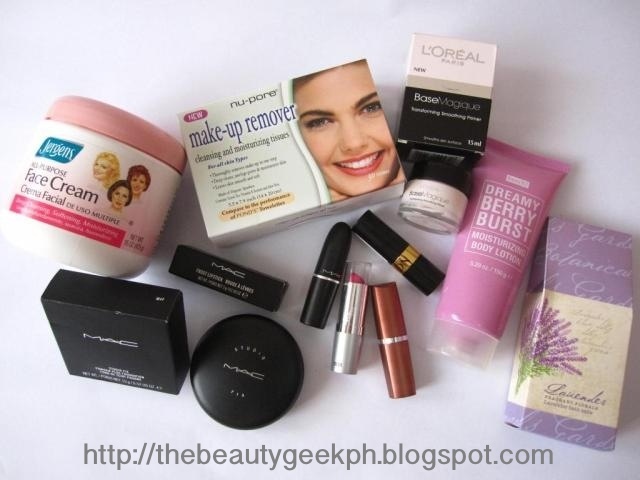 Besides, the Beauty Credit haul was such a steal, it would be too much of a shame to let it pass. The Holidays has been good to me though. I didn't expect I would receive a nice amount of makeup - let alone any kind of gift during the season! To be honest, I'm the kid who rarely opens a gift under the Christmas tree when the clock strikes twelve midnight. I would get one to three gifts a year but usually, I don't get to open any. Okay, let's put my sob story behind! Haha! Moving on to my haul... These are just accumulated gifts and purchases that I got last month. Most of them are gifts, so I couldn't really say its a haul - but - I don't know how to name it, so let us just call it a haul shall we? First is MAC Studio Fix Powder Plus Foundation (NC40) which was given by my sister! Weeee! 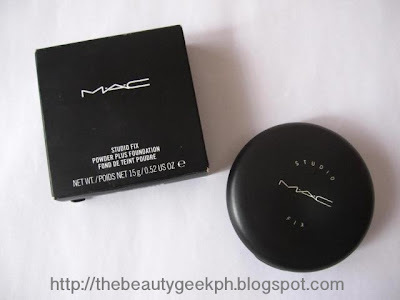 This will be the perfect match for my MAC Studio Fix Fluid Foundation! Can't wait to use it! Next would be the lippies! I've been meaning to buy lipsticks because I only own eight. I just mix the colors most of the time to get the shade that I want. Good things come to those who wait eh? I got four to add up to my collection. The Revlon Super Lustrous Lipstick (Pearl) was a gift from my Aunt during our Kris Kringle. She also added a L'oreal Base Magique primer. Lucky me! Next was a gift from my colleague, a MAC frost lipstick in the shade Foil. This is my first ever MAC lippie! Next is Maybelline's Color Sensational Lipstick inToffee cream, another gift from my sister! And the only thing that I bought out of the four lipsticks - Wet n' Wild in Nouveau Pink. As I've said earlier, I got this from our Kris Kringle. I planned on buying one before the year ended good thing I did not! 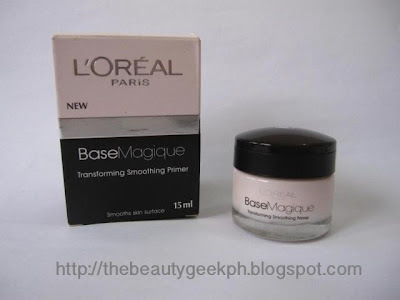 When I tried this on the counter months ago I really wanted to have it because it left my face velvety - but being the cheap person that I am, I refrained from buying it. I am really happy that I got one now. Thank you fairy-god Aunt! Before you say: "I thought you were on a make up ban?!! ", let me explain first why I need these two. My Dove Makeup remover is almost running out and my two other removers gets a little stingy on my eyes when I use them. So, I think I really need to purchase and try a new one. 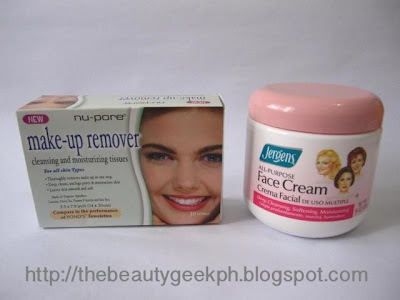 The Nu-pore make up remover (cleansing wipes) cost less than $2.00, while the Jergens' All Purpose Face Cream was around $5.00. Both were purchased at Puregold Subic Bay Freeport Zone. I think you'll find one at Duty Free or S&R. Lastly, I got a Dream Bery Burst Moisturizing Lotion from Bench and Lavender Bath Salts. Both were gifts from my colleagues. I can't wait to try out these products and share it to you girls. One of my resolutions this year is to post more in this blog. I haven't been active at blogging when I started out last year. I want to make it better this year so expect some reviews on the days to come! 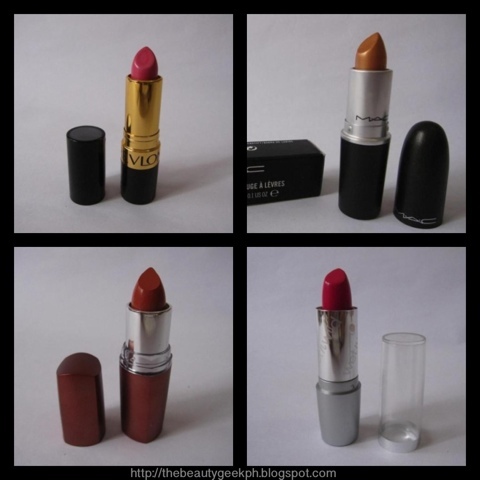 Those lipsticks look absolutely gorgeous! Hahaha I'm one of those people that drools over brightly colored lipsticks but only has one or two boring shades at home. You are so fortunate to have received so much this holiday :) thanks for sharing it with us! Also, thanks for following and dropping by my blog! I've followed you back! I hope we get to know each other more through our blogs this coming year! thank you so much! I actually enjoy reading your blog - it made my day to be honest haha. I love how you put so much effort in doing the layout, seriously, it looks professional! I wouldn't be surprised if I see you working for a great fashion mag one day. in witch color is your mac fluid?